Have you noticed all the burlap in the magazines lately? Everything is burlap and burlap is beautiful! I have always liked it and always have a yard or two in my fabric bin, even when it wasn’t trendy! 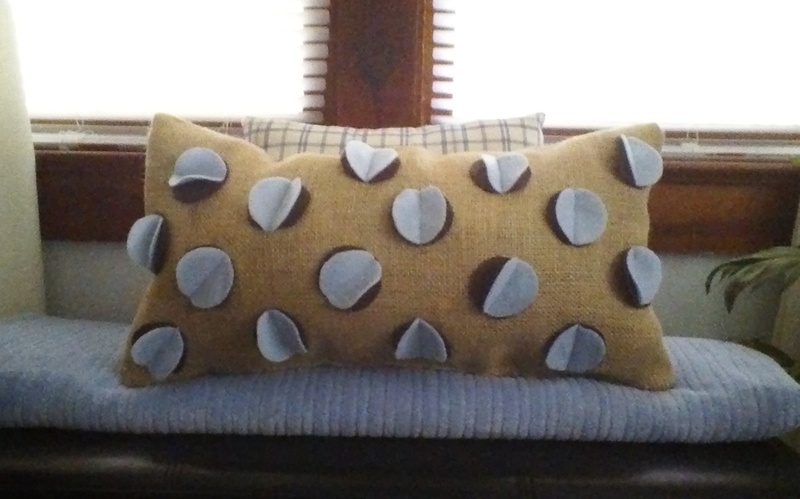 Last week I went burlap crazy – I covered three lampshades and made a pillow that my friend said looked as though it had measles (yes, I was offended!!!). 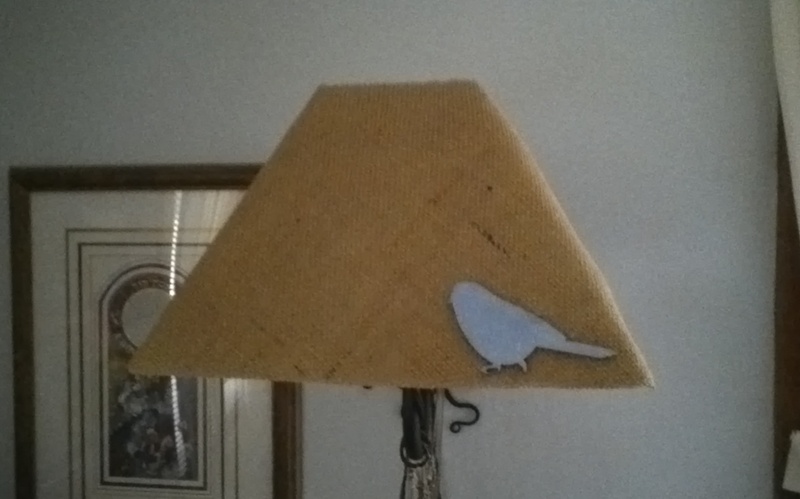 I watched a tutorial on You Tube on covering lamp shades and then went burlap crazy! The bird is a simple wooden ornament I painted to match our bedroom. 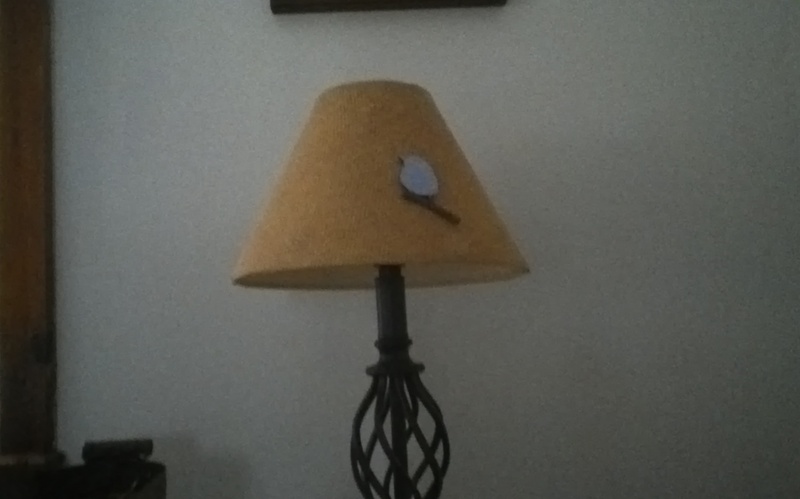 This lamp is on hub’s side of the bed – yes, another bird. I get OCD like that. This is the pillow my friend said was infected. Where’s her creativity! 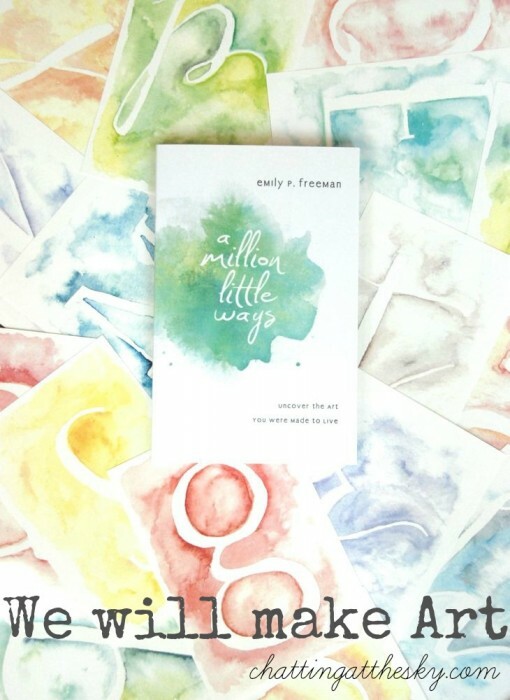 Check out We Will Make Art over on Chatting at the Sky blogsite!